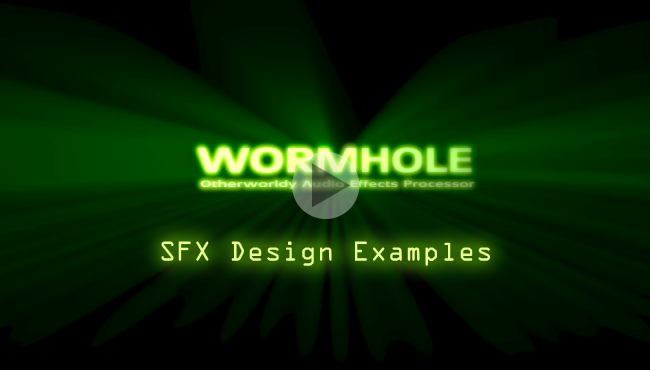 ​WORMHOLE is a new effects processing plugin for creating otherworldy sounds. It combines an eccentric spectral warping section with a lush reverb and precision-engineered processor that integrates pitch and frequency shifting into a single process – offering unique sonic characteristics and near-perfect side-band and carrier suppression. 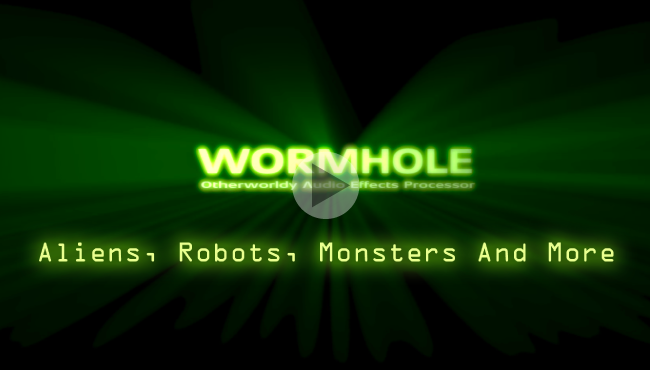 WORMHOLE is an indispensable tool for sound designers, film composers and and electronic musicians alike. Whether creating alien voices, surreal ambiences, space-ship drones, off-the-wall electronic instrument sounds, or other special effects, WORMHOLE delivers sounds so unearthly you’d swear they were generated in another dimension or parallel universe. WORMHOLE consists of 5 highly synergistic processing modules: the spectral WARP, the pitch/frequency SHIFT, the dual random modulated hall REVERB, a nifty little DELAY, and the dry/wet morphing FX BLEND sections. In combination with a flexible signal path, this makes WORMHOLE an ultra-fast and easy-to-use, high-end multieffects processor, that covers the full range from the subtle to the (very) extreme. Whether you're a sound designer, music producer or ambient artist, WORMHOLE is for you. So What is this For? While WORMHOLE excels at making the usually time-consuming workflows of creating high-quality Sci-Fi sounds and creature voices fast, easy, fun and extremely hi-fi, it actually covers a very broad range of applications – including musical sweetening and ambient effects from the grungy to the shimmering and lush, bread-and-butter mixing effects like creating suboctaves, widening, chorusing, filtering, harmonic shaping and reverberation, and some seriously psychedelic electronica colors and mangling effects. Here are some of the things WORMHOLE is great at. With WORMHOLE, spaceship atmospheres and neutrino accelerator field fluctuation induced interference oscillations are unbelievably easy to make – and sound unbelievably good, too. Turn cute metal clangs into huge impacts of intergalactic proportions, air conditioner rumble into ancient planetoid displacement machinery hum, and synthesizer waveforms into mutated cyborg production facility power plant drones. Then, animate the sound organically by moving the dry/wet morph and section dry/wet mixes just a little bit. Or go crazy and automate everything all over the place, of course. 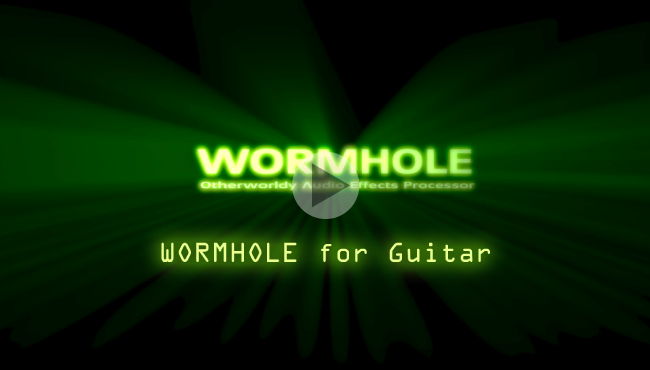 Guitars, pianos, pads all love WORMHOLE. It does just that thing that you'd typically reach for your really awesome vintage rack multi-effects units for, and feed them back into each other through the console...if they weren't out for service. Again. With unknown ETA due to the parts being unobtainium. And actually, WORMHOLE is the space-age version of that approach. No pitch-shifter induced disharmonic sidebands or graininess. Just pure, lushly blissfull glassy ambient fifths and octaves, micro-detuning shimmers, and more. Did we mention the dual, cascadable random modulated hall reverbs yet? Create sounds that mimic oscillator sync using any sound as the source. Even after the fact. Apply super-high fidelity frequency shifting, create wild pumping textures that sound far more aggressive than possible with a compressor, use the WARP circuit for emulating sample rate reduction and for creating unique lo-fi tones in a hi-fi way. Or, more generally speaking: transform your sounds in otherworldly ways. ​That's WORMHOLE. If you dig modular synths (like we do), you'll love it. None of this complexity translates into your workflow, though – the WORMHOLE user interface is strikingly simple, and the plug-in is a breeze to use. A huge selection of meticulously crafted factory presets and a weighted randomization feature make exploring space beyond the WORMHOLE superluminally fast. Easy to use MIDI Learn for all controls makes fine-tuning parameters easier than translocating into a parallel universe. Well, quite a bit easier, actually. Give the free trial a spin to experience this multi-dimensional joyride for yourself! When strongly processing sounds, a simple dry/wet crossfade often fails to do what you really want to achieve – dialling back the intensity of the effect. Instead, you'll get the impression of two sounds playing at once. This is why where other plugins have a dry-wet control, WORMHOLE has FX BLEND. 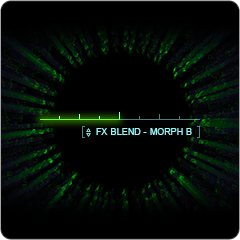 The FX BLEND module expands on the dry-wet concept by providing multiple algorithms for combining the two streams. 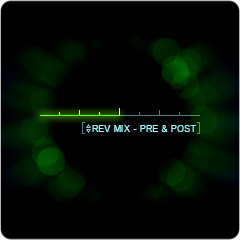 In addition to the classic d/w crossfade, it features two implementations of our unique structural audio morphing technology to morph seamlessly between your input and the effect. This fuses the two – turning them into one single sound in-between – and can "wrap" the effect signal into the "silhouette" of the source for greater definition aka "tightness" than you typically get from heavy processing. The dry-wet morphing also allows for much greater "realism" on heavily processed sounds such as monster voices, for myriad hybrid sounds to be explored, and for creating super-smooth transitions where the effect harmonics "grow out of the source" in a way you've never heard before. 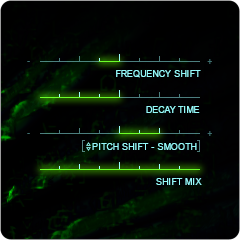 SHIFT combines +- 4 octaves of pitch-shift with +-4kHz of frequency-shift into one single processing step. The PITCH SHIFTER is a unique design that is neither delay/grain nor FFT/phase-vocoder based. As a result, it exhibits none of the typical artifacts like grains, flamming, or aliasing, and is very low on pitch-jumping or warbling. It features 4 dedicated algorithm modes: SMOOTH, TIGHT, DETUNE A, and DETUNE B. SMOOTH and TIGHT do exactly what their names imply – shifting up or down by up to 48 semitones. The DETUNE modes shift the left and right channels in opposite directions by +- 48 cents for that micro-shifting-chorus-that-is-no-chorus thickening effect. 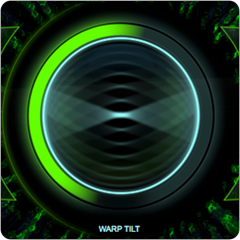 And we're proud to be able to say that WORMHOLE's PITCH SHIFTER sounds incredibly detailed, organic, and warm. WORMHOLE's FREQUENCY SHIFTER is extremely clean, sporting around 96dB of carrier/side-band suppression, greatly enhancing the useful range of effects achievable. Like the PITCH SHIFTER, the FREQUENCY SHIFTER is fully aliasing-free. The SHIFT section also features a unique DECAY TIME control. By discarding signal components that exceed an adjustable duration, it unclutters and tightens up the sound in a very cool way. And, when shifting up, it greatly reduces the "ringing" effect caused by the naturally longer decay times of low frequencies being shifted into the subjectively louder mid-range. It can also be used for special effects like simulating analog communications circuit "sagging", or adding timbral "fluttering". WARP performs a unique localized time-domain spectral warping effect, whose flavor lies somewhere between ring- and frequency-modulation, frequency- and formant-shifting, modal resonation, and spectral mapping. WARP sounds mesmerisingly strange and always stays crisp, intelligible, and tight (unless you don't want that, of course). It even includes a mode that introduces discontinuity artifacts to generate grit for all sorts of space-age special effects. What's better than a great reverb? Exactly, TWO great reverbs, of course. That's why WORMHOLE's REVERB section features two simple but super-lush sounding random modulated hall type reverbs with shared controls. One is placed before the FX BLEND – giving effects that aren't quite your typical reverb when used with the dry-wet morphing. The other is placed after the FX BLEND. For maximum reverberation flexibility, you can use either one, or both at the same time. Living in the slot where other plugins have a pre-delay, WORMHOLE's very simple but highly effective DELAY represents an evolution of this concept. In addition to delaying the effect signal, it can delay the dry signal instead...or do both, in opposing directions for the L and R channels. This creates super-wide effects that are still fully balanced around the center of the sound stage. Within seconds. In combination with the pitch shifter's DETUNE modes and the dry-wet morphing (where the DELAY effectively modifies what gets morphed into what), unique sounds ranging from subliminal enhancement to the off-the-hook variety can be created. WORMHOLE features a WARP and a SHIFT section. WARP performs a proprietary time-domain local spectrum inversion ("frequency warping"). This effect is remotely similar to ring modulators and frequency shifters in that it can produce inharmonic, metallic spectra. It is however a different algorithm that produces timbres that can not be achieved with either – providing a unique new sound to your palette. The SHIFT section combines pitch- and frequency-shifting into one unique process that is completely aliasing-free and features near-perfect side-band and carrier suppression. High-quality multieffects processing ranging from the sublime to the extreme. 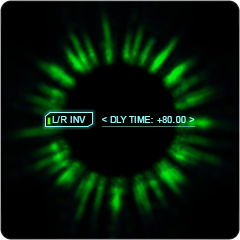 WARP spectral inversion & warping module. SHIFT unique topology combined pitch-/frequency-shifting module with SMOOTH, TIGHT and two DETUNE modes. Dual lush randomized hall reverbs. Ultra-wide +- 4 octaves pitch-shift and +-4000Hz frequency shift range, fully aliasing free, with 96dB/oct (!!) carrier and side-band attenuation.